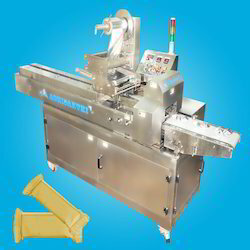 Gear Motor: 1 HP, 3 Phase (Standard Make). Electric Supply: 440V, AC, Three Phase, 50 Hz. 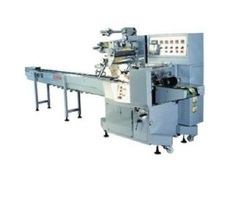 Horizontal flow wrapping machine is suitable to pack various type of solid products lick Biscuits, Candy, Pastries, Soaps, Automobile Parts, Ball Bearing, Chocolates, Surgical Products, etc..in laminated pouches.